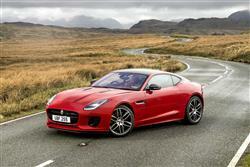 Jaguar's F-TYPE Coupe gets further enhancements that will appeal to keen drivers. This story keeps getting better and better, as Jonathan Crouch reports. As before, the F-TYPE Coupe takes all that was great about the Convertible version and builds on it with a stiffer chassis and a more affordable asking price. The result is a very special car indeed, especially in this improved form. Even if you can only stretch to a four cylinder version. After all, compared to a rival Porsche 718 Cayman S, Jaguar has brought us a machine that's arguably better looking, unarguably better equipped, more powerful and endowed with a greater sense of occasion, inside and out. While it won't match the Porsche's delicacy of response at the limit, the F-TYPE Coupe looks as if it's got its chief competitor's measure in enough areas that count to really give the German brand something to worry about.